Southern Downs Regional Council has announced two of the region’s best and brightest community members as the recipients of the 2019 Southern Downs Citizen of the Year and Southern Downs Youth Citizen of the Year awards – Nancy De Prada and Grace Quach. The 2019 Australia Day Award winners will be honoured at the Warwick Community Australia Day Breakfast at Leslie Park’s Youth Stage at 10am tomorrow, Saturday 26 January. The epitome of a true community spirited person, dedicated with a strong sense of duty and a vibrant, bubbly personality; these are just some of the words used to describe Nancy De Prada, the 2019 Southern Downs Citizen of the Year. Nancy was lauded with the Southern Downs top Australia Day honours for her tireless dedication and selfless commitment to the community as a part of a number of organisations, clubs and events. 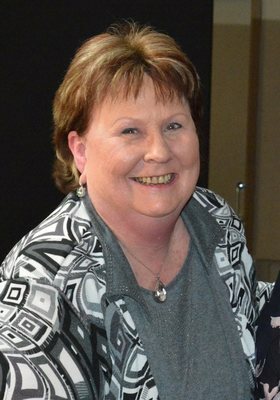 In a letter penned to Southern Downs Regional Council supporting Nancy’s nomination, Warwick Netball Secretary, Linda Bunch said Nancy was a guiding force and wonderful voice of reason and clarification. “Nancy is a most deserved winner as she is first and foremost extremely important and valued by us but also she is the epitome of a true community spirited person,” Linda said. “Her knowledge and skills she brings to us through her life experiences, work and the many, many other associations, committees and community groups she shares herself with, is vitally beneficial to and welcomed by Warwick Netball. 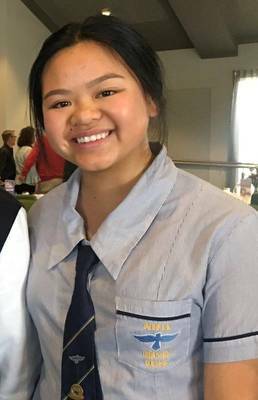 From volunteering and spending time with the elderly, to organising youth events and fundraising, 2019 Southern Downs Youth Citizen of the Year, Grace Quach was chosen for her outstanding service to the community. Cr Dobie said Grace’s achievements and contribution to the community reflect the Australian spirit. “Grace is a role model for not only our region’s youth but for everyone in our community and is very worthy of being named Southern Downs Youth Citizen of the Year,” Cr Dobie said. The 2018 Warwick Christian College Vice-Captain and Lyndon House Captain regularly tutors younger students at the College and organises youth events such as Boom Dance in Brisbane and the Iron and Clay dance in Warwick. Grace is also a Junior Youth Leader at King’s City Church Youth Group and the local organiser of Warwick Youth Connect 2018. Grace regularly gives her time to read, play games and share music with nursing home residents, as well as contributing to the annual Killarney Bonfire, Jumpers and Jazz in July and the Warwick Christian College Netball Fundraiser. Celebrate Australia Day at events across the region! For more information or for a full list of Australia Day events visit the Southern Downs Regional Council Facebook page or head to southerndownsandgranitebelt.com.au.